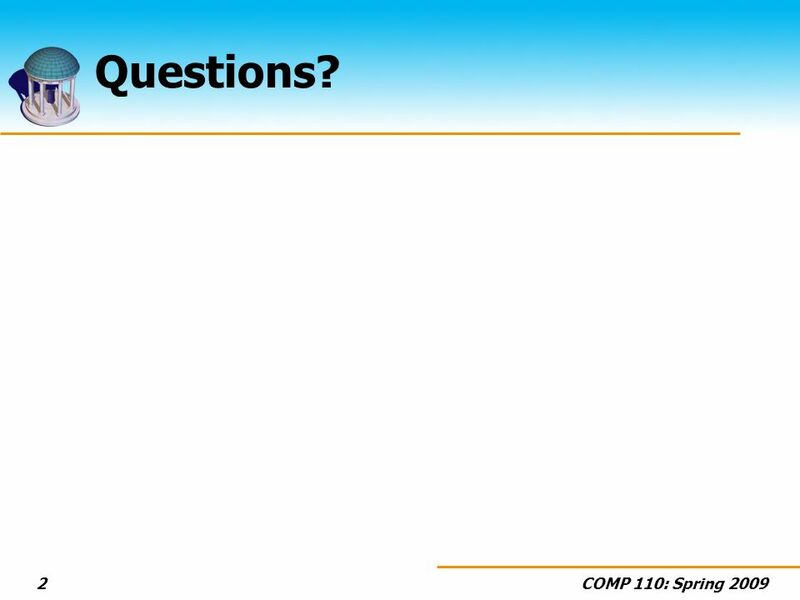 2 COMP 110: Spring 20092 Questions? 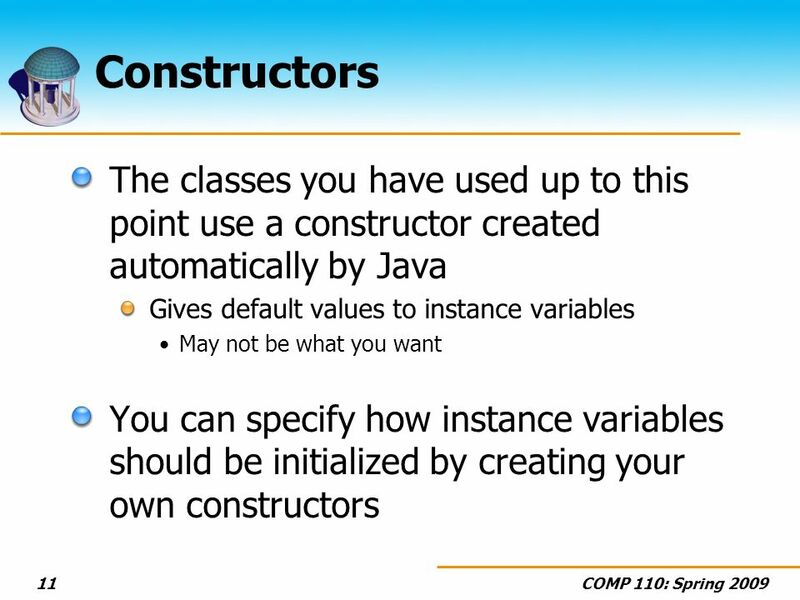 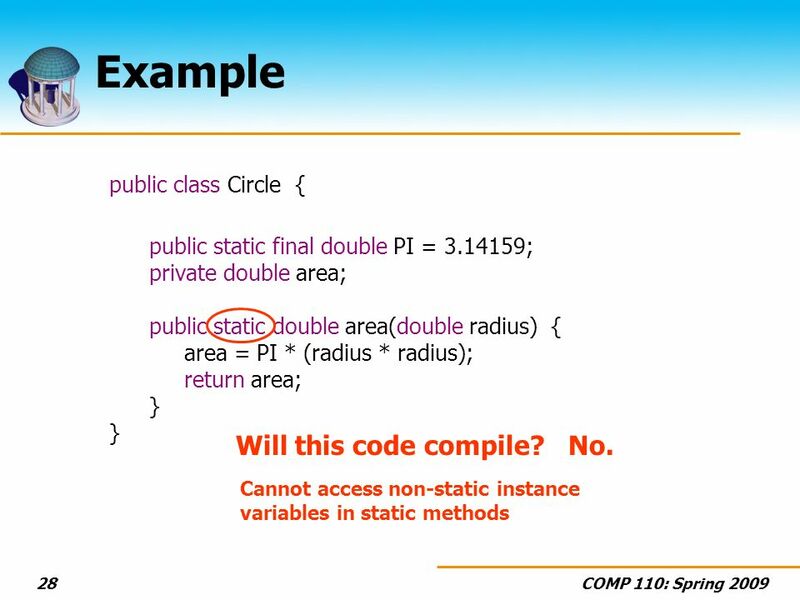 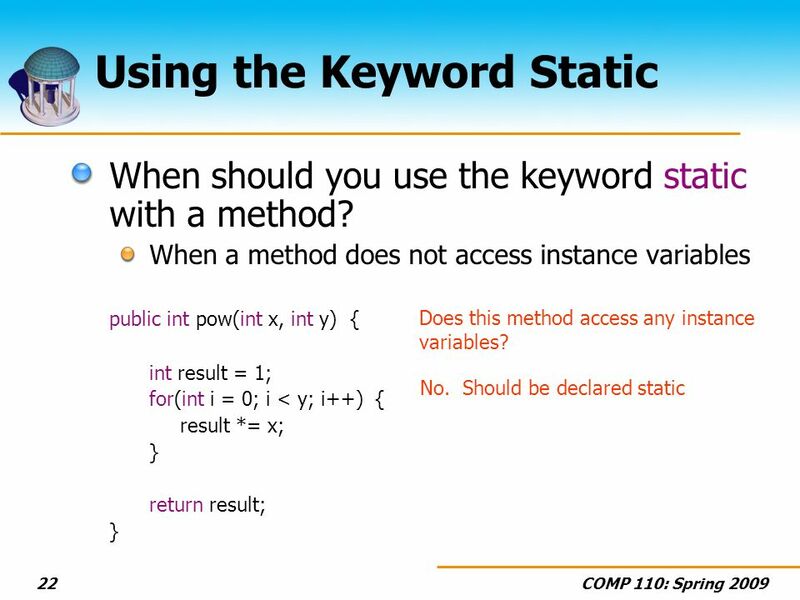 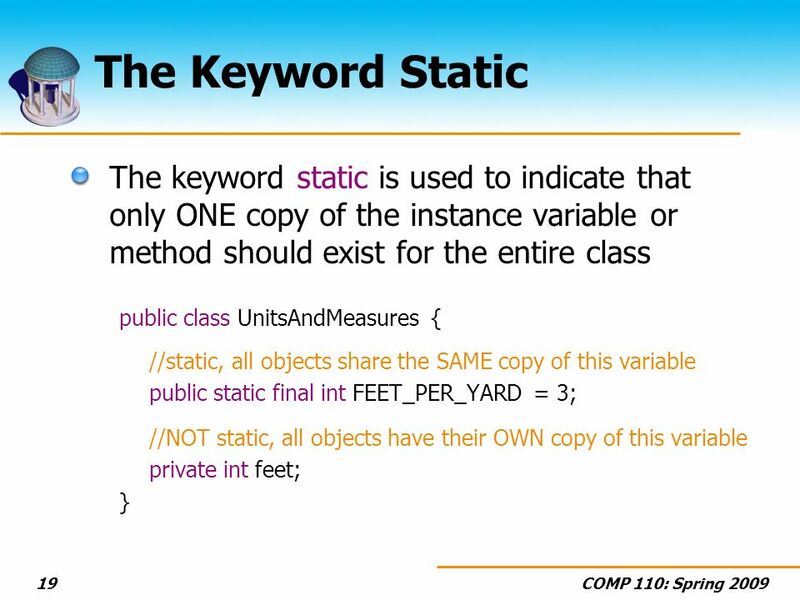 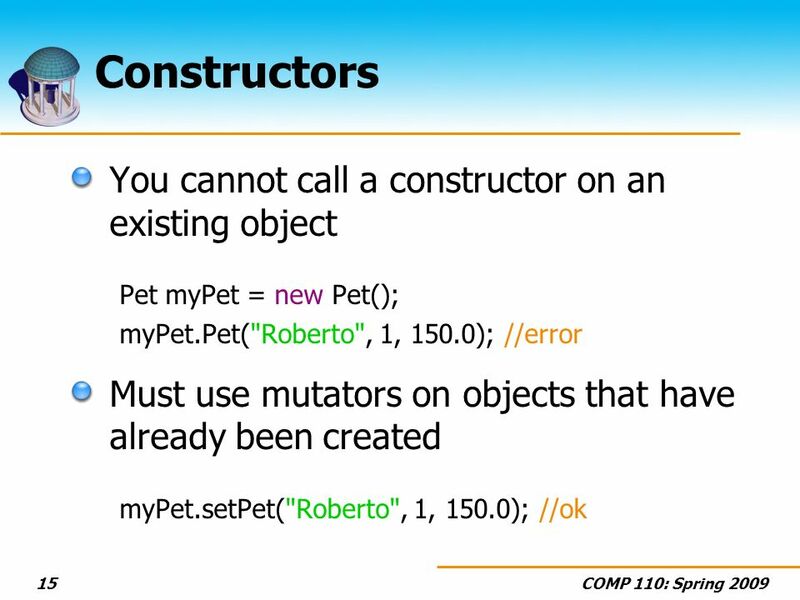 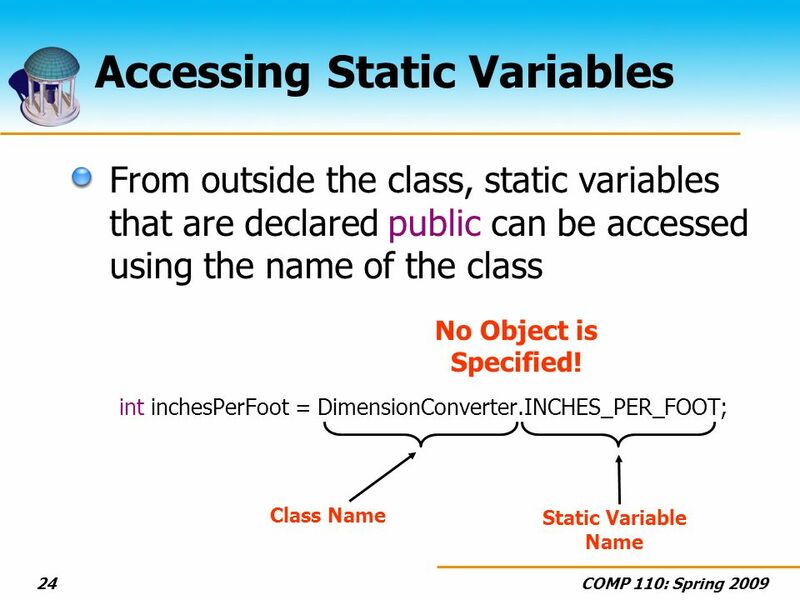 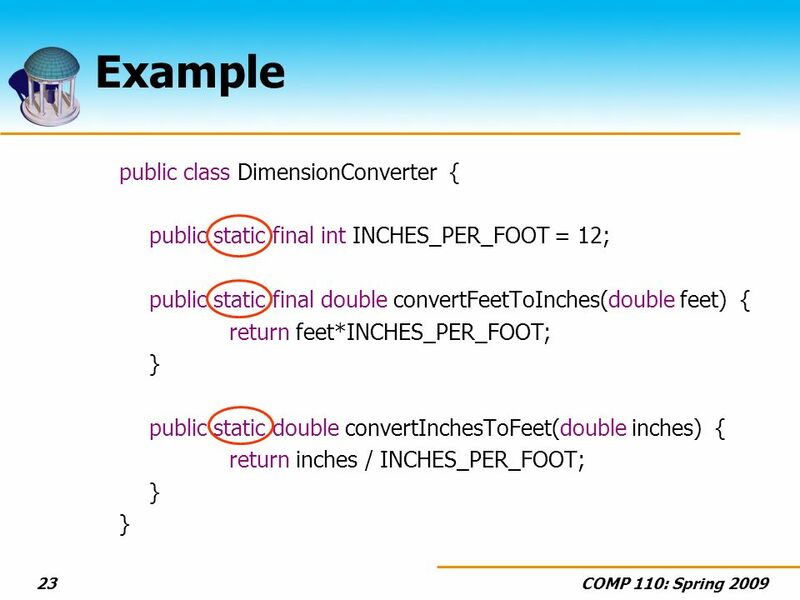 24 COMP 110: Spring 200924 Accessing Static Variables From outside the class, static variables that are declared public can be accessed using the name of the class int inchesPerFoot = DimensionConverter.INCHES_PER_FOOT; Class Name Static Variable Name No Object is Specified! 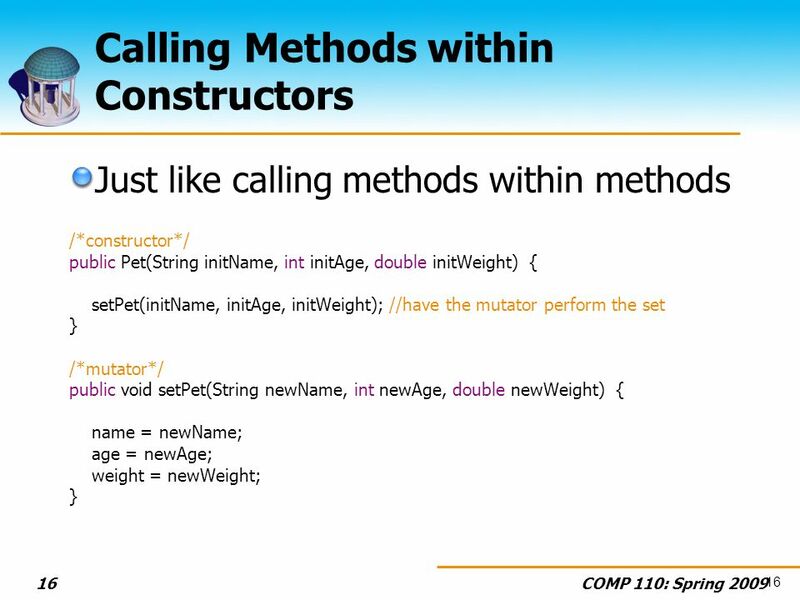 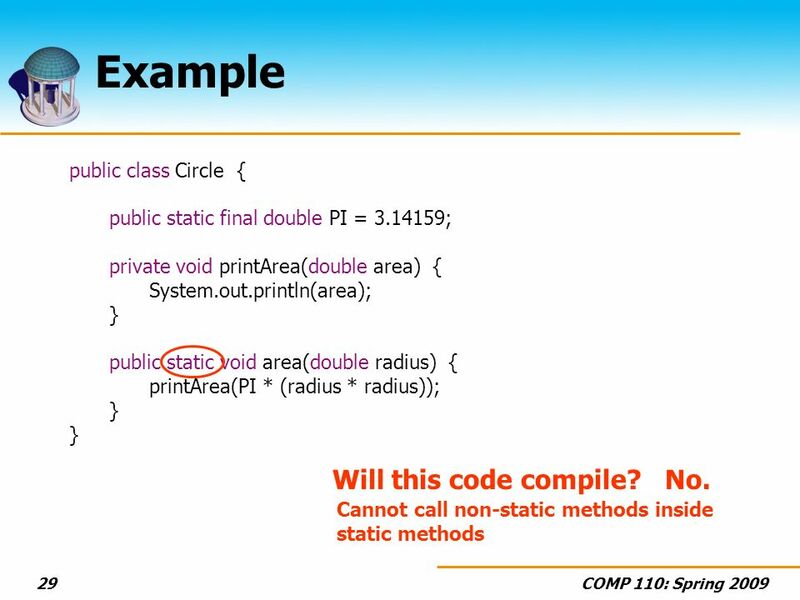 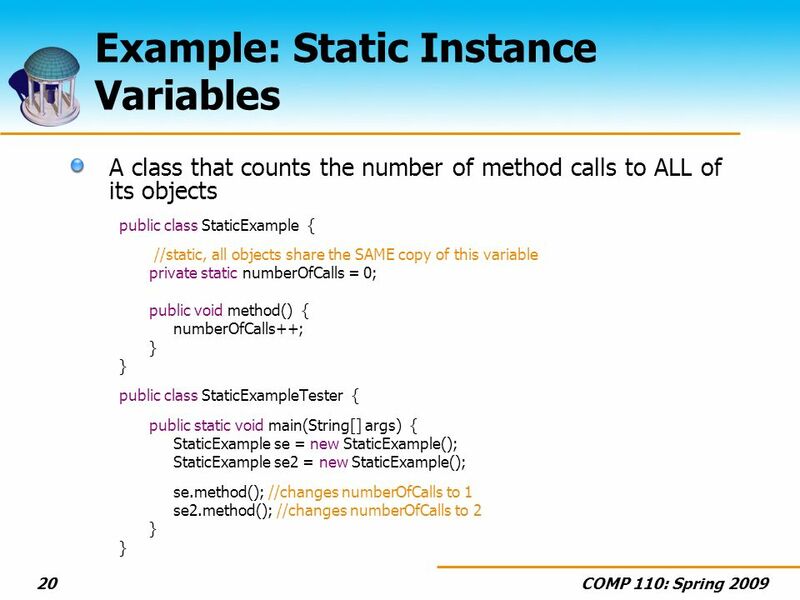 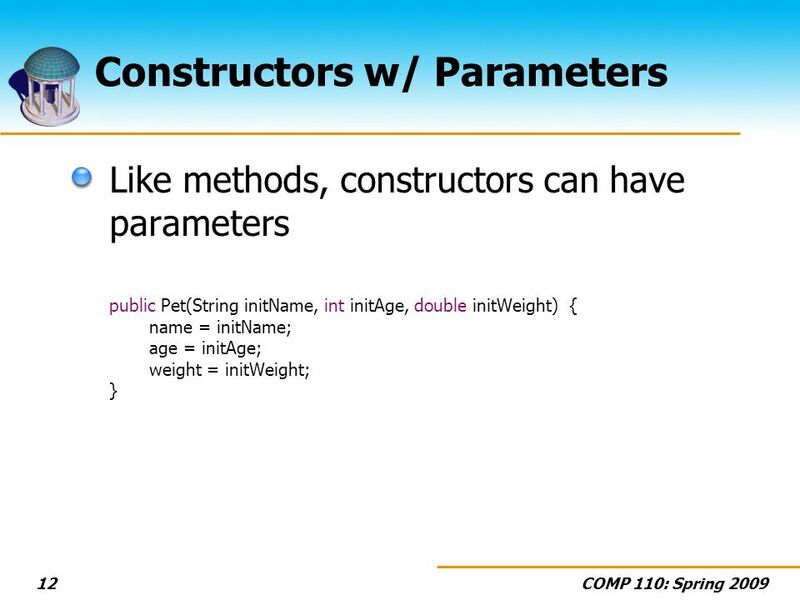 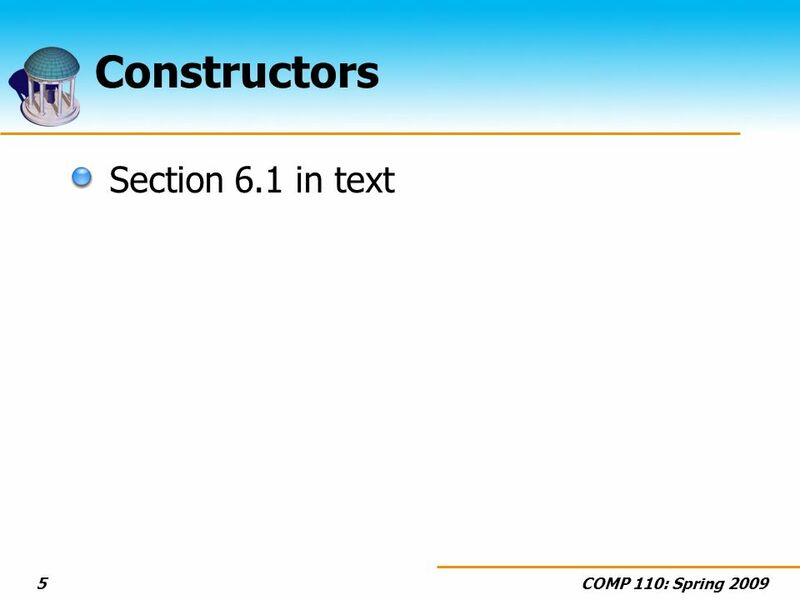 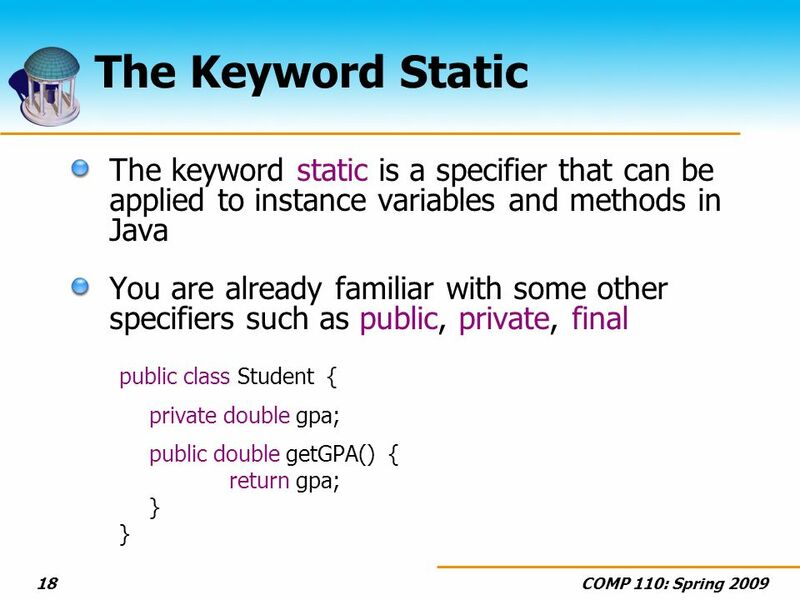 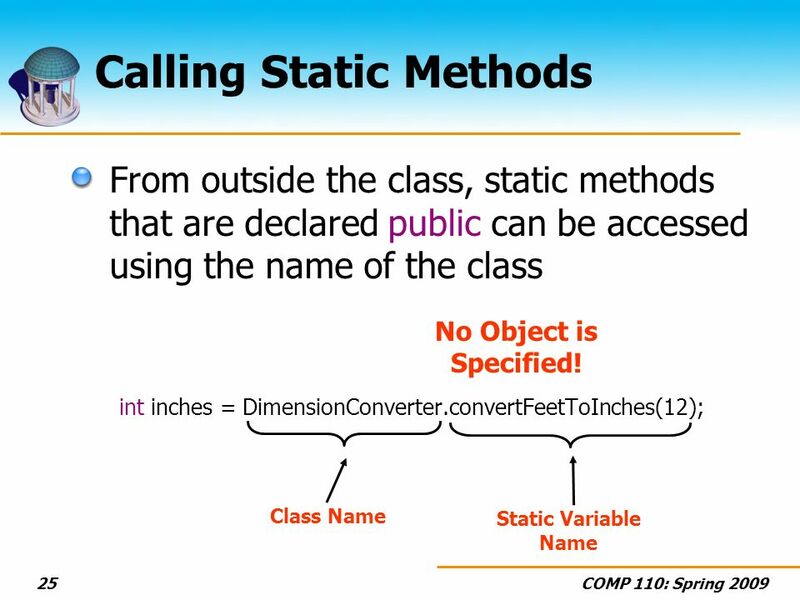 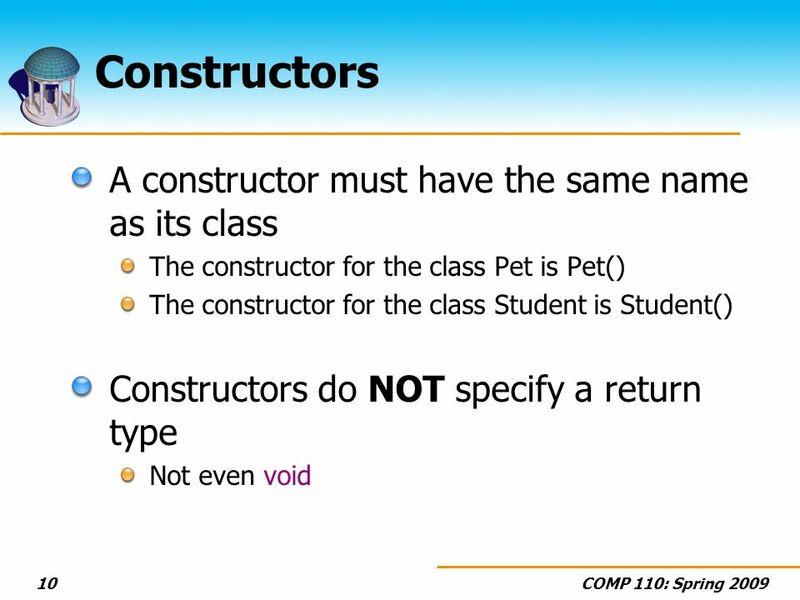 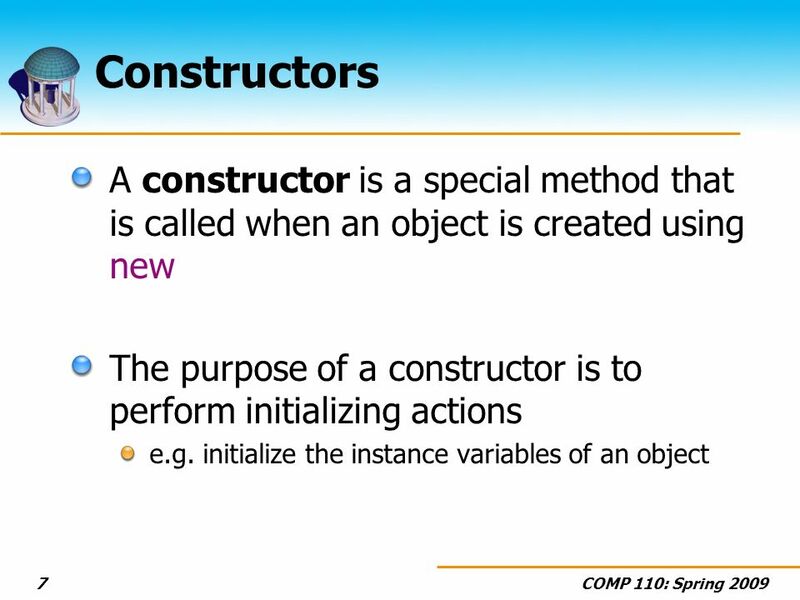 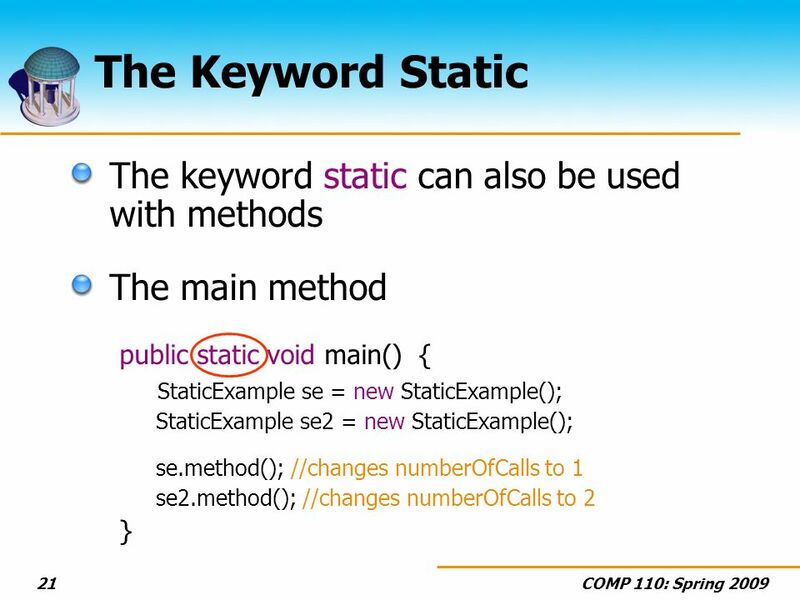 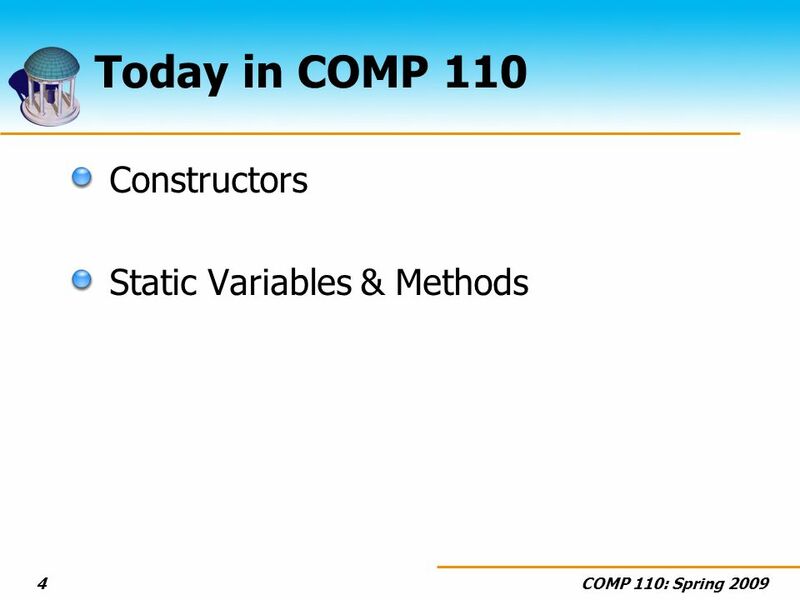 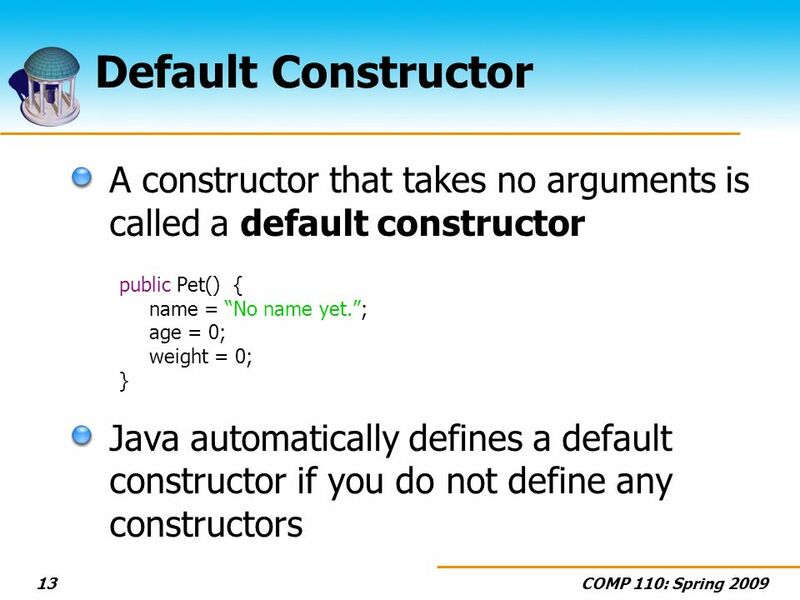 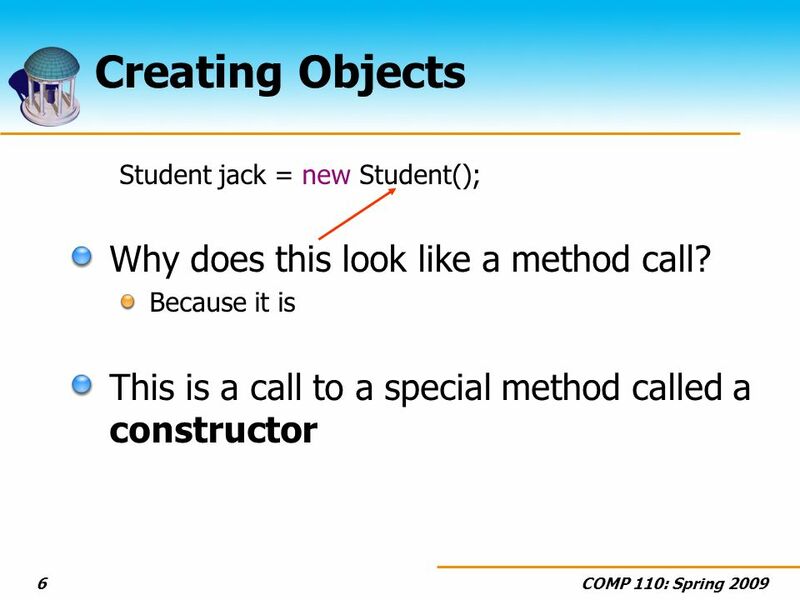 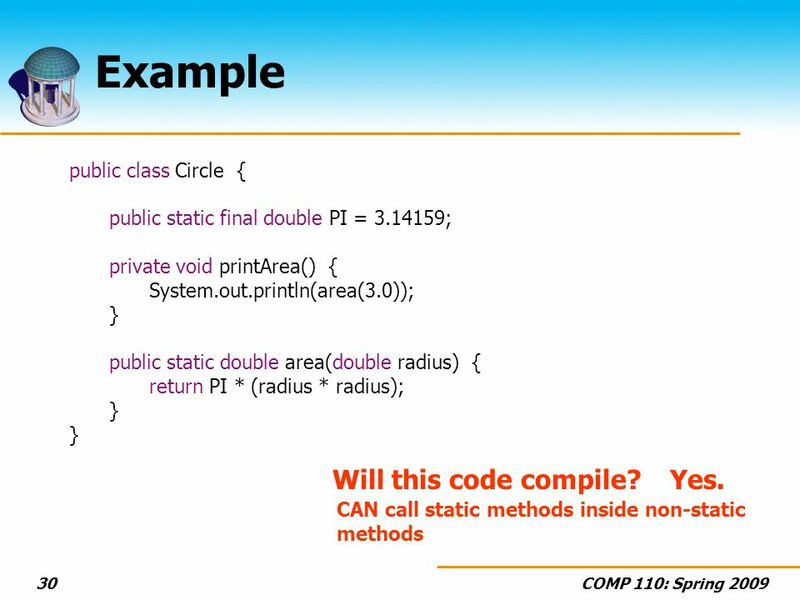 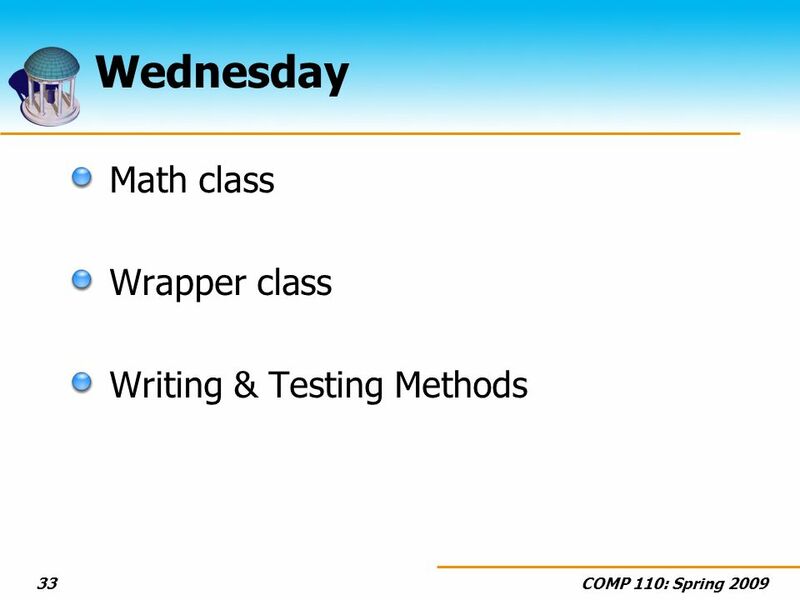 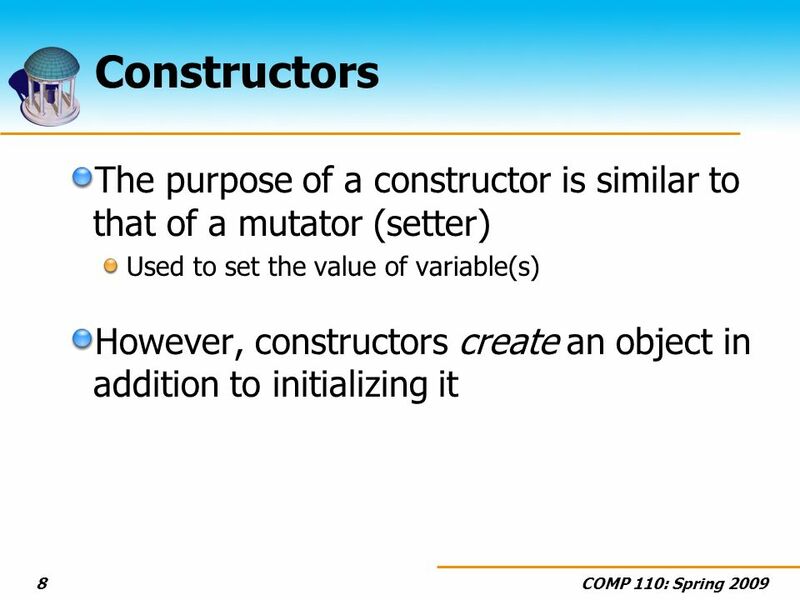 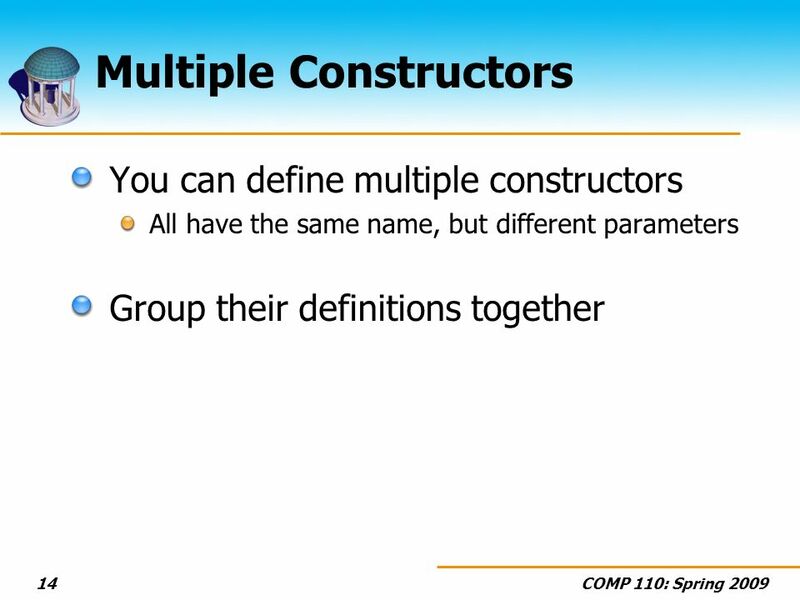 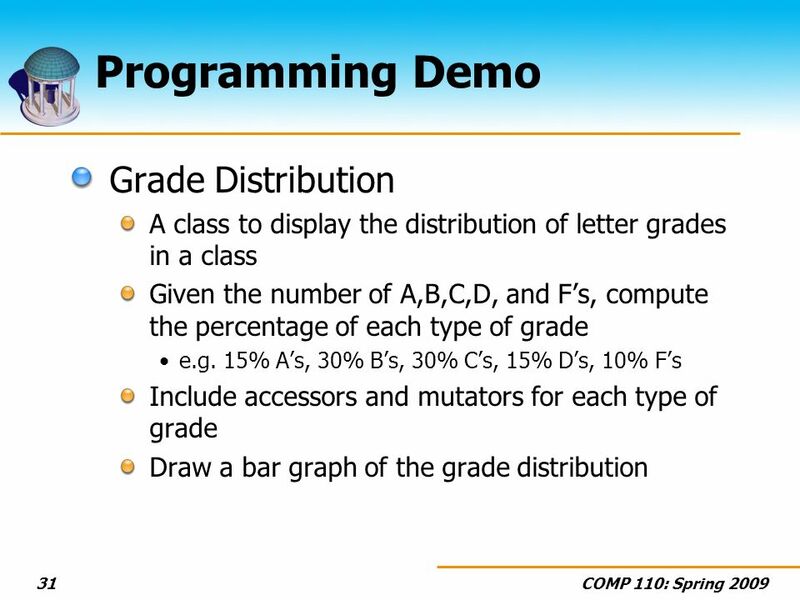 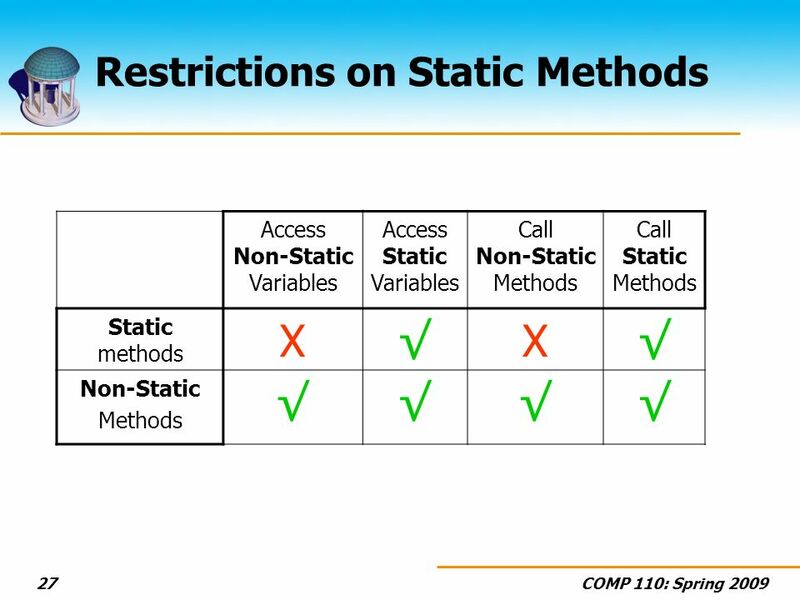 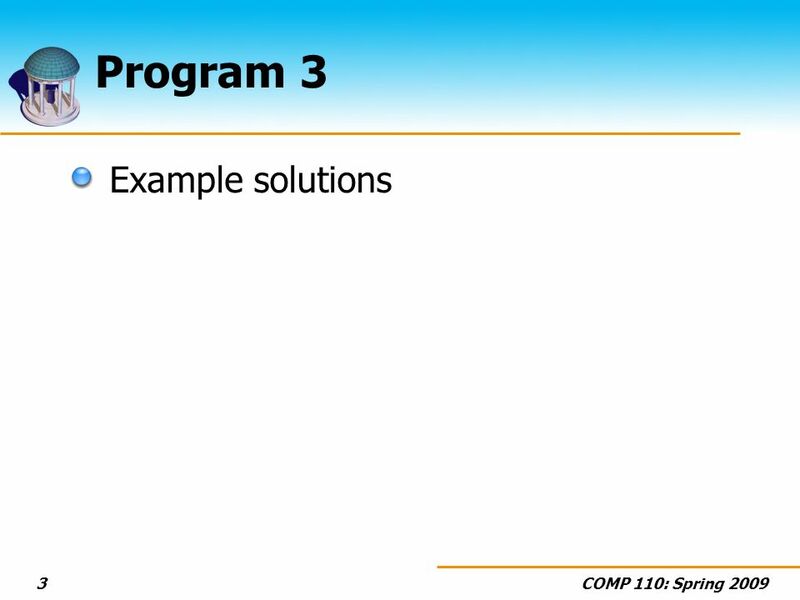 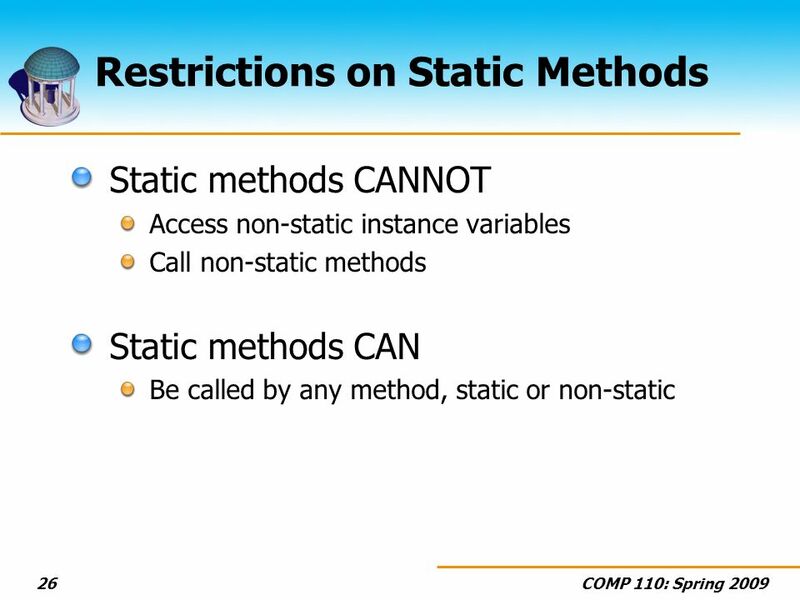 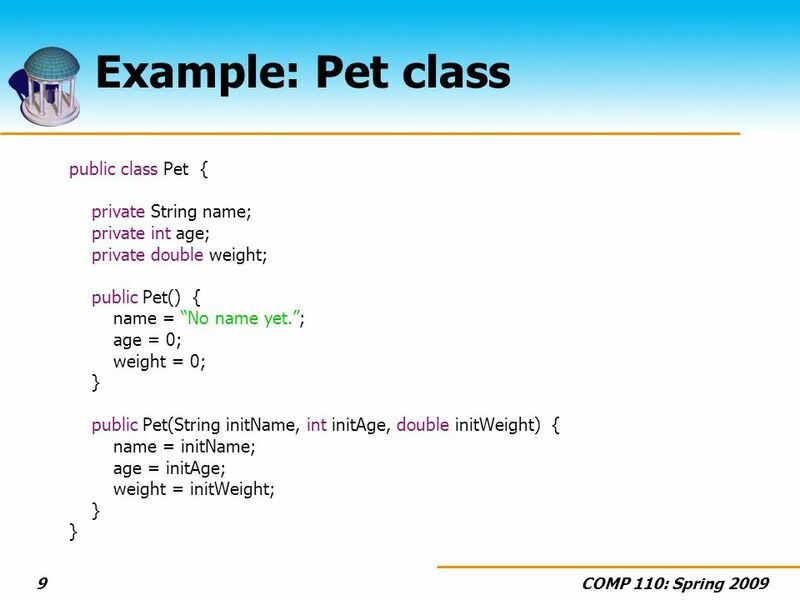 25 COMP 110: Spring 200925 Calling Static Methods From outside the class, static methods that are declared public can be accessed using the name of the class int inches = DimensionConverter.convertFeetToInches(12); Class Name Static Variable Name No Object is Specified! 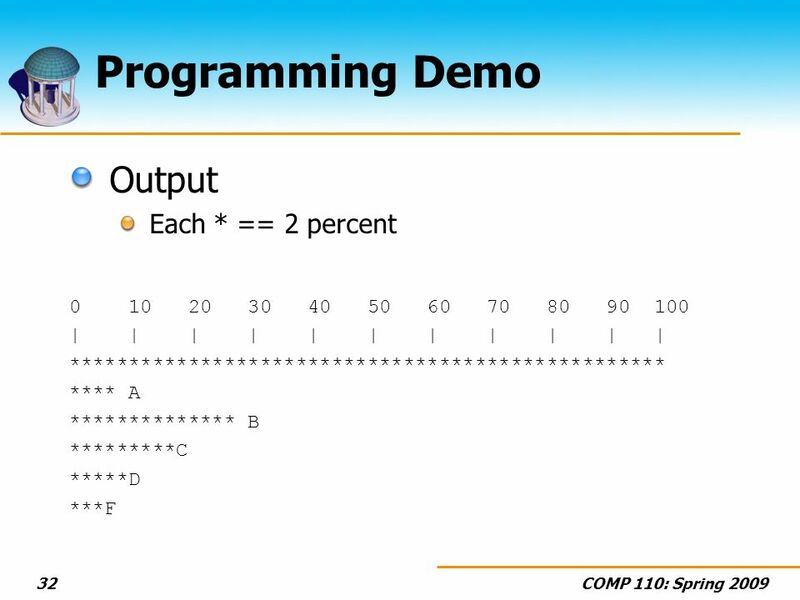 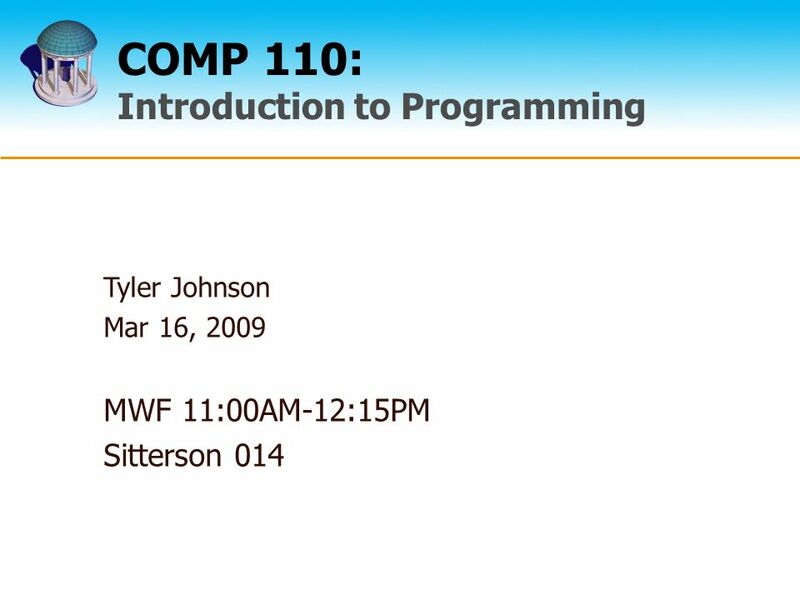 Download ppt "COMP 110: Introduction to Programming Tyler Johnson Mar 16, 2009 MWF 11:00AM-12:15PM Sitterson 014." 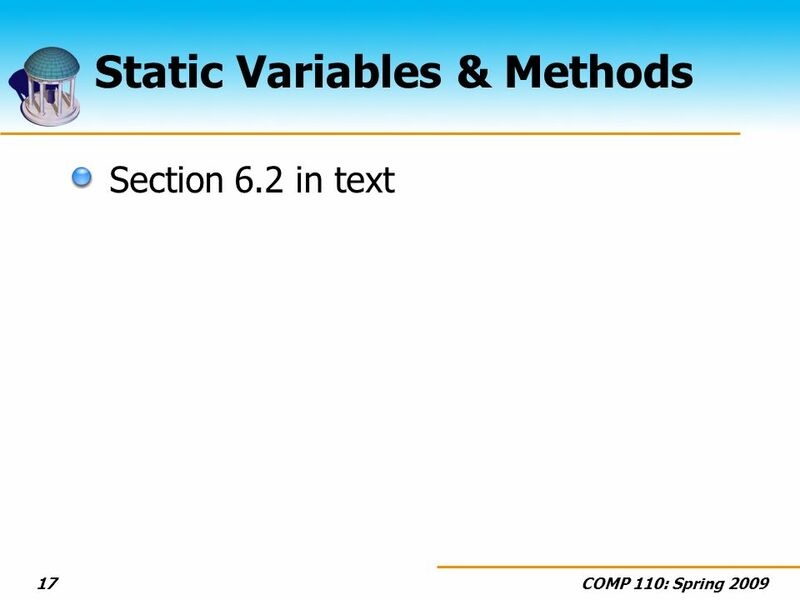 UNIT II DATA TYPES OPERATORS AND CONTROL STATEMENT 1.